With CMC-KUHNKE's affordable, high resolution double seam inspection systems for Craft Brewing. The SEAMscan Package is an affordable high-resolution tool for double seam inspection and measurement designed specifically for craft breweries. The SEAMscan Package is made up of SEAMview Inspection Software, Video Seam Imager and Visionary Craft Software, and also includes Free Lifetime Technical Support and Software Updates. 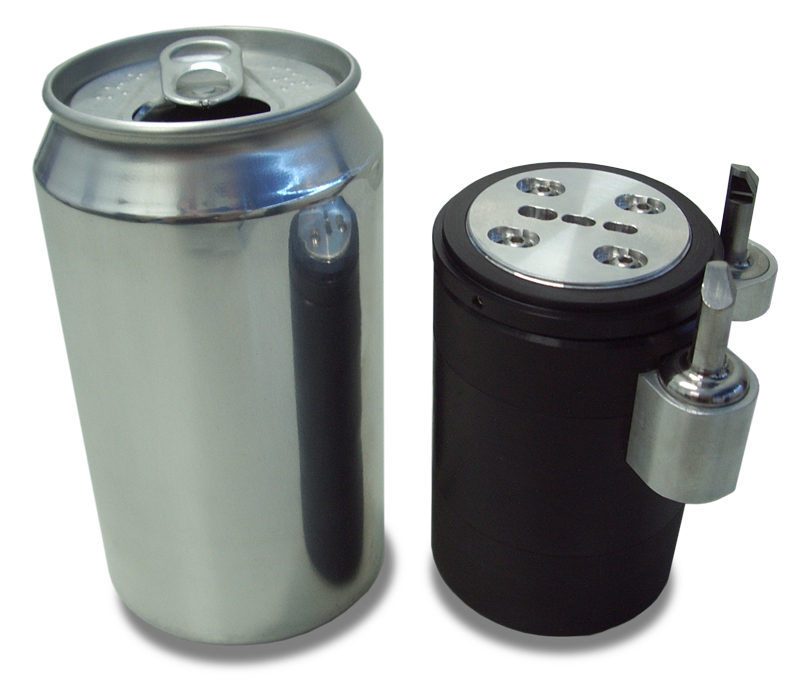 Complete your Double Seam inspection package with the Beverage Can Saw, Seam Stripper, Countersink Depth Gauge and Seam Thickness Gauge. The SSG-2000 is an easy and accurate solution for setting up your seamer. The camera gives the user the ability to automatically measure the seamer clearance and thickness to quickly and correctly adjust the rolls. By minimizing downtime, this is especially useful for setup during changeovers and for daily use to make adjustments as the seamer warms up. The seamer setup gauge helps to determine which roll needs to be adjusted should a seam problem come up. The Semi-Automated SEAMscan-XTS is the non-destructive solution for double seam inspection. The gauge performs both cross sectional measurements and a 360° tightness scan.